Nicola Peltz attends the photocall for Paramount Pictures' 'Transformers: Age of Extinction' at Copacabana Palace Hotel on July 17, 2014 in Rio de Janeiro, Brazil. 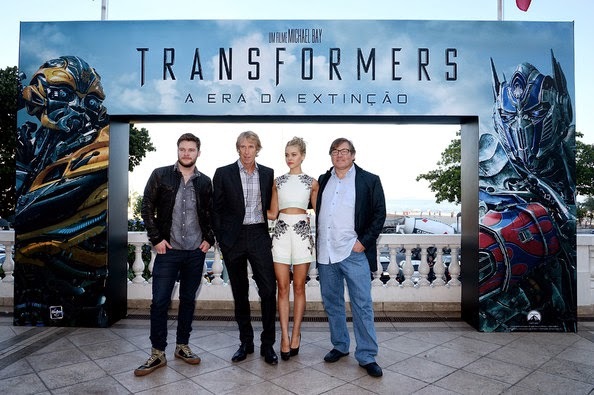 (L-R) Jack Reynor, Michael Bay, Nicola Peltz and Lorenzo Di Bonaventura attend the photocall for Paramount Pictures' 'Transformers: Age of Extinction' at Copacabana Palace Hotel on July 17, 2014 in Rio de Janeiro, Brazil. (L-R) Jack Reynor and Nicola Peltz attend the photocall for Paramount Pictures' 'Transformers: Age of Extinction' at Copacabana Palace Hotel on July 17, 2014 in Rio de Janeiro, Brazil. Nicola Peltz attends the photocall for Paramount Pictures' 'Transformers: Age of Extinction' at Copacabana Palace Hotel on July 17, 2014 in Rio de Janeiro, Brazil. (L-R) Jack Reynor and Nicola Peltz attend the photocall for Paramount Pictures' 'Transformers: Age of Extinction' at Copacabana Palace Hotel on July 17, 2014 in Rio de Janeiro, Brazil. Labels: Transformers: Age of Extinction Photo Call Images.